The 1974 FIFA World Cup was the 10th FIFA World Cup, and was played in West Germany (including West Berlin) between 13 June and 7 July. The tournament marked the first time that the current trophy, the FIFA World Cup Trophy, created by the Italian sculptor Silvio Gazzaniga, was awarded. The previous trophy, the Jules Rimet Trophy, had been won for the third time by Brazil in 1970 and awarded permanently to the Brazilians. 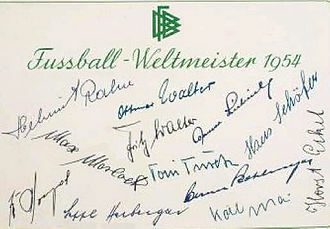 The host nation won the title, beating the Netherlands 2–1 in the final at Munich's Olympiastadion. The victory was the second for West Germany, who had also won in 1954. Australia, East Germany, Haiti and Zaire made their first appearances at the final stage, with East Germany making their only appearance before Germany was reunified in 1990. Ninety-eight countries took part in the qualifying tournament. Some of football's most successful nations did not qualify, including 1966 champions England, France, hosts and quarter-finalists of the 1970 tournament Mexico, Spain, 1966 third-place finishers Portugal, 1970 quarter-finalists Peru, Belgium, Czechoslovakia, Hungary and Romania. 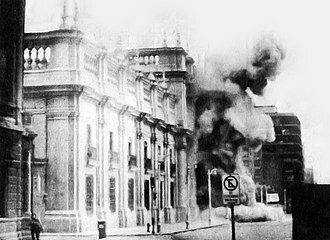 The USSR was also disqualified after refusing to travel for the second leg of their playoff against Chile as a result of the 1973 Chilean coup d'état. The Netherlands and Poland qualified for the first time since 1938. Scotland was back in the Finals after a 16-year absence. Argentina and Chile were also back after having missed the 1970 tournament and Yugoslavia was back after missing both the 1966 and 1970 tournaments. 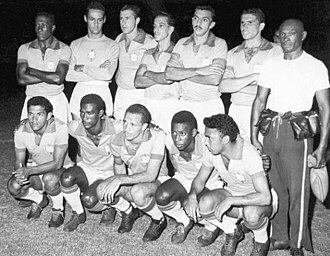 First-time qualifiers were East Germany; Australia, which would not qualify again until the next time the tournament was held in Germany, in 2006; Haiti, the first team from the Caribbean to qualify since Cuba in 1938; and Zaire, the first team from sub-Saharan Africa to reach the finals. As of 2018, this was the last time Haiti and Zaire (now DR Congo) qualified for a FIFA World Cup finals, as well as the last time Spain failed to qualify. 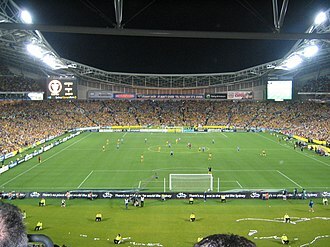 This was the first tournament in which the defending champions (in this case Brazil) played in the opening game as opposed to the hosts, although this was later changed back to the hosts for the 2006 tournament, which was also held in Germany. The tournament featured a new format. While the competition once again began with the sixteen teams divided into four groups of four teams, the eight teams which advanced did not enter a knockout stage as in the previous five World Cups but instead played in a second group stage. The winners of the two groups in the second stage then played each other in the final, with the respective runners-up from each group meeting in the third place play-off. This was one of only two times that this format was deployed (1978 being the other); in 1982 a semi-final stage was introduced after the second group stage (expanded to four groups of three) before the World Cup revived the knockout stage in 1986 which is still used to the present day. It was decided in advance that if the host nation progressed to the second stage their matches would not take place simultaneous to the other matches but instead be held in the other timeslot (either 16:00 or 19:30 local time). The tournament was held mostly in bad weather, and the stadia had few protected places. Few western European nations had qualified, of which only The Netherlands, West Germany and Sweden made it past the Group Stage. Fans from the Eastern Communist neighbour states such as East Germany were hindered by political circumstances. Carlos Caszely of Chile became the first player to be sent off with a red card in a World Cup match, during their match against West Germany. Red cards were formally introduced in World Cup play in 1970, but no players were sent off in that tournament. Two teams made a particularly powerful impact on the first round. 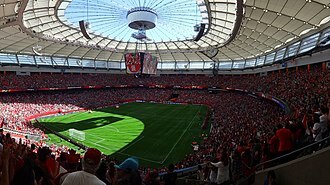 The Netherlands demonstrated the "Total football" techniques pioneered by the top Dutch club Ajax, in which specialised positions were virtually abolished for the outfield players, and individual players became defenders, midfielders or strikers as the situation required. The Dutch marked their first World Cup finals since 1938 by topping their first-round group, with wins over Uruguay and Bulgaria and a draw with Sweden. Sweden joined the Dutch in the second group round after beating Uruguay 3–0. Poland, meanwhile, took maximum points from a group containing two of the favourites for the tournament. They beat Argentina 3–2, trounced Haiti 7–0, then beat Italy 2–1 – a result that knocked the Italians out of the Cup and resulted in Argentina qualifying for the second group round on goal difference. Argentina would not fail to win either of their opening two games of a World Cup again until 2018. While Haiti didn't do particularly well in their first World Cup finals (losing all three of their games and finishing second to last) they did have one moment of glory. In their opening game against Italy, they managed to take the lead with a goal from Emmanuel Sanon, before eventually losing 3–1 (Italy had not conceded a goal in 12 international matches). That goal proved to be a significant goal as it ended Dino Zoff's run of 1142 minutes without conceding a goal. Group 2 was a particularly close group. With Brazil, Yugoslavia and Scotland drawing all their games against each other, it was decided by the number of goals these three teams scored when defeating Zaire. Yugoslavia hammered the African nation 9–0, equalling a finals record for the largest margin of victory. Brazil beat them 3–0. Scotland however only managed a 2–0 margin, and so were edged out of the tournament on goal difference. They were the only team that did not lose a game in the tournament as well as becoming the first ever country to be eliminated from a World Cup Finals without having lost a match. Group 1 contained both East Germany and the host West Germany, and they both progressed at the expense of Chile and newcomers Australia. The last game played in Group 1 was much anticipated, a first ever clash between the two German teams. West Germany was already assured of progression to the second round whatever the result. In one of the most politically charged matches of all time, it was the East that won, thanks to a late Jürgen Sparwasser goal. This result forced a realignment of the West German team that would later help them win the Cup. Coincidentally, the two second-round groups both produced matches that were, in effect, semi-finals. In Group A, the Netherlands and Brazil met after each had taken maximum points from their previous two matches. In Group B, the same happened with West Germany and Poland – so the winners of these two games would contest the final. In Group A, two goals from the inspirational Johan Cruyff helped the Dutch side thrash Argentina 4–0. At the same time, Brazil defeated East Germany 1–0. The Dutch triumphed over East Germany 2–0 while in the "Battle of the South Americans", Brazil managed to defeat Argentina 2–1 in a scrappy match. Argentina and East Germany drew 1–1 and were on their way home while the crucial match between the Netherlands and Brazil turned into another triumph for 'total football', as second-half goals from Johan Neeskens and Cruyff put the Netherlands in the final. However the match would also be remembered for harsh defending on both sides. Meanwhile, in Group B, West Germany and Poland both managed to beat Yugoslavia and Sweden. The crucial game between the Germans and the Poles was goalless until the 76th minute, when Gerd Muller scored to send the hosts through 1–0. The Poles took third place after defeating Brazil 1–0. The final was held on 7 July 1974 at Olympiastadion, Munich. West Germany was led by Franz Beckenbauer, while the Dutch had their star Johan Cruyff, and their Total Football system which had dazzled the competition. With just a minute gone on the clock, following a solo run, Cruyff was brought down by Uli Hoeneß close to the German penalty area, and the Dutch took the lead from the ensuing penalty by Johan Neeskens before any German player had even touched the ball. West Germany struggled to recover, and in the 26th minute were awarded a penalty, after Bernd Hölzenbein fell within the Dutch area, causing English referee Jack Taylor to award another controversial penalty. Paul Breitner spontaneously decided to kick, and scored. These two penalties were the first in a World Cup final. West Germany now pushed, and in the 43rd minute, in his typical style, Gerd Müller scored what turned out to be the winning goal, and the last of his career as he retired from the national team. The second half saw chances for both sides, with Müller putting the ball in the net for a goal that was disallowed as offside. In the 85th, Hölzenbein was fouled again, but no penalty this time. Eventually, West Germany, European Champions of 1972, also won the 1974 World Cup. This was the only case of the reigning European champions winning the World Cup, until Spain (champions of the UEFA Euro 2008) defeated the Netherlands in the South Africa 2010 FIFA World Cup Final. France have also held both trophies, albeit in a different order, at the same time by winning the 1998 World Cup followed by Euro 2000. Joao Havelange (former FIFA President from 1974 to 1998) claimed that the 1966 and 1974 World Cups were fixed so that England and Germany would win respectively. This was only the second time that a team had won the World Cup after losing a match in the Finals (West Germany losing to East Germany during the group stage). The previous occasion was West Germany's earlier win in 1954. Poland's Grzegorz Lato led the tournament in scoring seven goals. Gerd Müller's goal in the final was the 14th in his career of two World Cups, beating Just Fontaine's record of 13, in his single World Cup. Müller's record was only surpassed 32 years later, in 2006 by Ronaldo's 15 goals from three World Cups and then 8 years after, in 2014 by Klose's 16 goals from four World Cups. Günter Netzer, who came on as a substitute for West Germany during the defeat by the East Germans, was playing for Real Madrid at the time: this was the first time that a World Cup winner had played for a club outside his home country. This is the last of four FIFA World Cup tournaments to date with no extra-time matches. The others are the 1930, 1950, and 1962 tournaments. The official mascots of this World Cup were Tip and Tap, two boys wearing an outfit similar to West Germany's, with the letters WM (Weltmeisterschaft, World Cup) and number 74. For a list of all squads that appeared in the final tournament, see 1974 FIFA World Cup squads. Then the remaining spots in the groups were determined by dividing the participants into pots based on geographical sections. 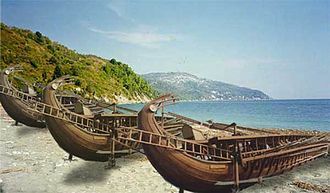 When the final draw was held, the sixteenth and final qualifier was not yet known; it would be either Yugoslavia or Spain. These teams finished with an identical record in their qualification group and following this situation, rules were changed so that tied teams had to compete in a play-off game on neutral ground. The final draw took place on 5 January 1974 in Sendesaal des Hessischen Rundfunks in Frankfurt. The TV broadcast of this show was followed by an estimated 800 million people. FIFA and the Local Organising Committee decided that the host nation (West Germany) and trophy holder (Brazil) would be respectively placed in Group 1 and Group 2. It was also decided that South American nations cannot play in same group during the first group stage. In other words, Argentina and Chile will not be allocated in a group seeded by Brazil or Uruguay. Uruguay was drawn before Italy, taking a place in Group 3, and the runner up of 1970 FIFA World Cup received the seeding of Group 4. Other nations were draw one by one, pot by pot. The "innocent hand" who made the draws was an 11-year-old boy, Detlef Lange, a member of the Schöneberger Sängerknaben, a children's choir. The great sensation of the draw was the meeting of the two "German teams" in Group 1. When FIFA President Sir Stanley Rous had announced the lot, the room was quiet for a few moments, followed by long-lasting applause. In the days following the event, a rumour began circulating that the GDR would consider a World Cup withdrawal due to a meeting with the team of the Federal Republic. 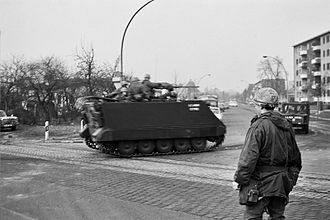 However, this was quickly and officially denied by the Government of East Germany. The first round, or group stage, saw the sixteen teams divided into four groups of four teams. Each group was a round-robin of six games, where each team played one match against each of the other teams in the same group. Teams were awarded two points for a win, one point for a draw and none for a defeat. The teams finishing first and second in each group qualified for the second round, while the bottom two teams in each group were eliminated from the tournament. The second round, or second group stage, saw the eight teams progressing from the first round divided into two groups of four teams on the basis of the tournament regulations. Group A would consist of the winners of Groups 1 and 3, plus the runners-up from Groups 2 and 4. Group B would consist of the other four teams, namely the winners of Groups 2 and 4, plus the runners-up from Group 1 and 3. Like the first group stage, each group in the second round was a round-robin of six games, where each team played one match against each of the other teams in the same group. Teams were awarded two points for a win, one point for a draw and none for a defeat. The two teams finishing first in each group advanced to the final, while the two runners-up would meet to decide third place. 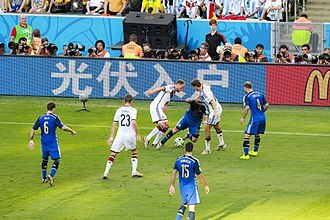 The third place play-off was the first match in FIFA World Cup history in which a penalty shoot-out could potentially be held (in the event of the score being level after the regular 90 minutes and 30 minutes' extra time). If the teams remained tied in the final after extra time, a replay would be held. Only if the scores remained level during the replay after the regular 90 minutes and 30 minutes' extra time would penalties be used to determine the champion. 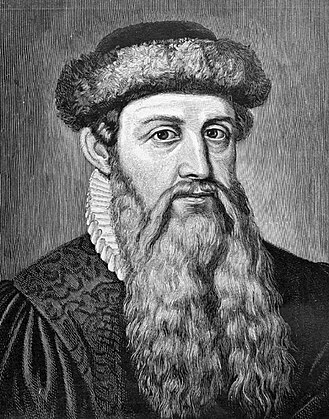 At all previous World Cup tournaments, the drawing of lots had been foreseen in this situation to split the teams. With seven goals, Grzegorz Lato was the top scorer in the tournament. In total, 97 goals were scored by 53 players, with three of them credited as own goals. ^ a b "1974 FIFA World Cup Germany - Awards". FIFA.com. Fédération Internationale de Football Association. Retrieved 3 February 2019. ^ "1966 & 1974 World Cups Were Fixed – Former FIFA President". Goal.com. 26 June 2008. Retrieved 28 October 2011. ^ "FIFA World Cup seeded teams" (PDF). FIFA World Cup seeded teams 1930–2006. ^ "page 45" (PDF). Retrieved 28 October 2011. Wikimedia Commons has media related to FIFA World Cup 1974. The Chile national football team represents Chile in all major international football competitions and is controlled by the Federación de Fútbol de Chile which was established in 1895. The team is referred to as La Roja. They have appeared in nine World Cup tournaments and were hosts of the 1962 FIFA World Cup where they finished in third place, since the mid to late 1960s, the Elo ratings ranks Chile among the 25 strongest football teams in the world. Chile are the reigning Copa América champions, after winning 2015 Copa América on home soil, prior to this, Chile had been runners-up in the competition on four occasions. 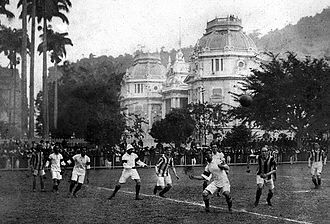 As a result of winning the 2015 Copa América, they qualified for the 2017 FIFA Confederations Cup, the Federación de Fútbol de Chile is the second oldest South American federation, having been founded in Valparaíso on June 19,1895. Chile is one of the four founding nations of CONMEBOL. Together with Argentina and Uruguay, the four competed in the first South American Championship, to be renamed the Copa América, on October 12,1926, Chile made the first corner-kick goal in Copa América history in a match against Bolivia. 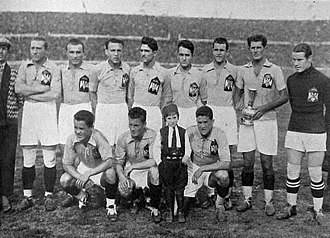 Chile was one of the thirteen teams that competed in the inaugural World Cup in 1930. The team started off well, beating Mexico and France without conceding a goal, a 3–1 loss to Argentina in the final game left the Chilean team in second place within the group, eliminating it from the tournament. In the 1950 World Cup, Chile defeated the United States, 5–2, the best Chilean result in the World Cup was third place in 1962, as the host nation. Chile lost 4–2 to eventual champion Brazil in a semi-final but went on to defeat Yugoslavia 1–0 to earn third place, the players banned were captain Jorge Valdivia, defenders Álvaro Ormeño, Rodrigo Tello, Jorge Vargas, Pablo Contreras and striker Reinaldo Navia. Nelson Acostas resignation as manager came after Chile were knocked out of the 2007 Copa América, Chile had qualified to the quarter-finals after a 3–2 win against Ecuador, and a 0–0 draw against Mexico. But two losses, one of those being a 6–1 defeat against Brazil, sealed Acostas fate, former Argentina manager Marcelo Bielsa was given the task of becoming the Chile national team manager in preparation for the 2010 World Cup qualifiers. The East Germany national football team was from 1952 to 1990 the football team of East Germany, playing as one of three post-war German teams, along with Saarland and West Germany. In 1949, before the GDR was founded and while regular private clubs were banned under the Soviet occupation. Helmut Schön coached selections of Saxony and the Soviet occupation zone before moving to the West, on 6 February 1951, the GDR applied for FIFA membership, which was protested against by the German Football Association, which was already a full member. FIFA accepted the GDR association on 6 October 1951 as a provisional member, the first international game, not competitive but rather a display of good will, took place on 21 September 1952 against Poland in Warsaw, losing 3-0 in front of a crowd of 35,000. The first home game was on 14 June 1953 against Bulgaria, only three days later, the Uprising of 1953 in East Germany would have prevented the permitted assembly of that many Germans. On 8 May 1954 games resumed, with a 1-0 loss against Romania, the East Germans had not even considered to enter the World Cup which was won by the West Germans two months later. The GDR entered the qualification for the WC1958 and were hosts to Wales on 19 May 1957 at the Zentralstadion in Leipzig,500,000 tickets were requested, officially 100,000 were admitted, but 120,000 in the crowded house witnessed a 1-0 victory. 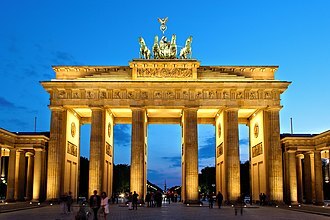 East Germany was not as successful as its Western counterpart in World Cups or European Championships and it never qualified for the finals of the European Championship and only qualified for one World Cup, in 1974. However, they were serious contenders in qualifying throughout their history. That tournament was staged in West Germany, and both German teams were drawn in the group in the first round. With successful games against Chile and Australia, both German teams had qualified early for the round, with the inter-German game determining first. 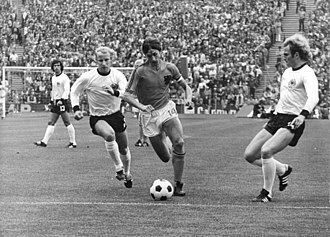 Despite this lack of pressure to succeed, the match on 22 June 1974 in Hamburg was politically and emotionally charged, East Germany beat West Germany 1-0, thanks to a goal by Jürgen Sparwasser. This was rather a Pyhrric victory, as the DFV wound up in the possibly stronger second round Group A, the GDR lost to Brazil and the Netherlands, but secured 3rd place in a final game draw with Argentina. The World Cup is a gold trophy that is awarded to the winners of the FIFA World Cup association football tournament. Since the advent of the World Cup in 1930, two trophies have been used, the Jules Rimet Trophy from 1930 to 1970, and the FIFA World Cup Trophy from 1974 to the present-day, brazil won the trophy outright in 1970, prompting the commissioning of a replacement. The original Jules Rimet Trophy was stolen in 1983 and never recovered, the subsequent trophy, called the FIFA World Cup Trophy, was introduced in 1974. 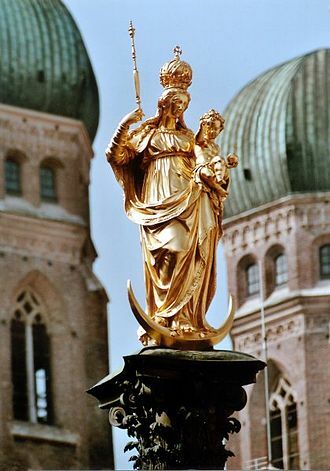 Made of 18 karat gold with a base, it stands 36.8 centimeters high. The trophy was made by Stabilimento Artistico Bertoni company in Italy and it depicts two human figures holding up the Earth. The current holder of the trophy is Germany, winner of the 2014 World Cup, the Jules Rimet Trophy was the original prize for winning the Football World Cup. It was designed by Abel Lafleur and made of gold-plated sterling silver on a marble base. In 1954 this base was replaced with a base made of lapis lazuli. It stood 35 centimetres high and weighed 3.8 kilograms and it comprised a decagonal cup, supported by a winged figure representing Nike, the ancient Greek goddess of victory. The Jules Rimet Trophy was taken to Uruguay for the first FIFA World Cup aboard the Conte Verde and this was the same ship that carried Jules Rimet and the footballers representing France and Belgium who were participating in the tournament that year. 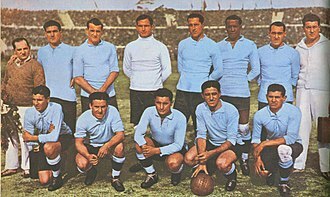 The first team to be awarded the trophy was Uruguay, the winners of the 1930 World Cup, during World War II, the trophy was held by 1938 winners Italy. The 1958 FIFA World Cup in Sweden marked the beginning of a tradition regarding the trophy, as Brazilian captain Hilderaldo Bellini heard photographer requests for a better view of the Jules Rimet Trophy, he lifted it up in the air. 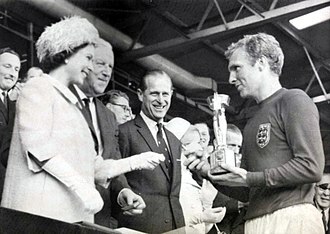 Every Cup-winning captain ever since has repeated the gesture, on 20 March 1966, four months before the 1966 FIFA World Cup in England, the trophy was stolen during a public exhibition at Westminster Central Hall. 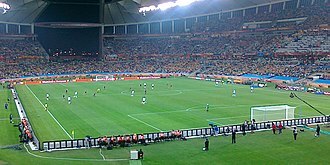 The 1978 FIFA World Cup, the 11th staging of the FIFA World Cup, quadrennial international football world championship tournament, was held in Argentina between 1 and 25 June. The 1978 World Cup was won by Argentina who beat the Netherlands 3–1 at River Plates home stadium Estadio Monumental in the Argentine capital of Buenos Aires after extra time in the final. This win was the first World Cup title for Argentina, who became the fifth team, the Netherlands and Brazil were the gold and bronze medalists respectively. Iran and Tunisia made their first appearances in the finals, the official match ball was the Adidas Tango. 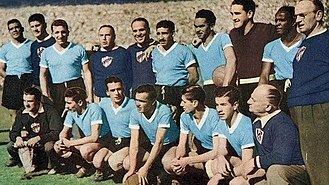 Argentina was chosen as the host nation by FIFA in London, Mexico withdrew from the bidding process after having been awarded the 1970 competition two years earlier. The logo is based on Juan Peróns signature gesture, a salute to the crowd with both arms extended above his head and this was one of the most famous, populist images of Perón. The design was created in 1974 two years prior to the coup in 1976. The military leadership were aware that the World Cups logo symbolized Peróns gesture, England failed to qualify for the second World Cup in succession, losing out to Italy. European champions Czechoslovakia and the Soviet Union failed to qualify for the finals, uruguay failed to qualify for the first time since 1958. Newcomers to the finals were Iran and Tunisia, Austria qualified for the first time since 1958, while France, for the first time, more than 100 nations entered the competition. 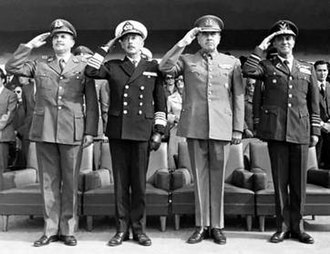 A controversial fact surrounding the 1978 World Cup was that Argentina had suffered a military coup only two years before the cup, a known as the National Reorganization Process. Less than a year before the World Cup, in September 1977, Interior Minister General Albano Harguindeguy, because of the political turmoil, some countries, most notably the Netherlands, considered publicly whether they should participate in the event. Despite this, all teams eventually took part without restrictions, allegations that Dutch star Johan Cruyff refused to participate because of political convictions were denied by him 30 years later. The Sweden national football team represents Sweden in association football and is controlled by the Swedish Football Association, the governing body for football in Sweden. Swedens home ground is Friends Arena in the Stockholm urban area, Sweden made their first World Cup appearance in 1934. Sweden has made eleven World Cup appearances and five appearances in the European Championships and they finished second in the 1958 FIFA World Cup, and third in both 1950 and 1994. Swedens accomplishments include a medal in the 1948 Summer Olympics. They reached the semi-finals in UEFA Euro 1992, Sweden has traditionally been a strong team in international football, with 11 World Cup appearances and 3 medals in the Olympics. The Swedish team finished second in the 1958 World Cup, when it was the host team, Sweden has finished third twice, in 1950 and 1994. 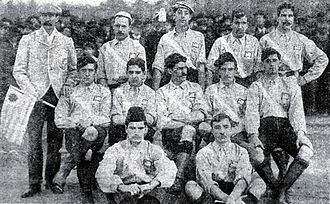 Sweden played its first international game against Norway on 12 July 1908, other matches in 1908 were played agaisnt England, Great Britain, the Netherlands and Belgium, Sweden lost all five matches. In the same year, Sweden competed in the 1908 Summer Olympics for the first time, however, lost a game in the Olympics against the Great Britain 1–12, the biggest loss in the Swedish national teams history. In 1916, Sweden defeated Denmark for the first time, Sweden played in the 1912 Olympics, the 1920 Olympics, and in the 1924 Olympics, where Sweden took the bronze and their first medal ever. The 1938 World Cup was Swedens second qualification for the World Cup, in the first round, they were scheduled to play against Austria, but after Germanys occupation of Austria, the Austrian team could not continue playing in the tournament. Instead, Sweden went straight to the match against Cuba. They beat Cuba 8–0 with both Harry Andersson and Gustav Wetterström scoring hat-tricks, in the semi-final match against Hungary, Sweden lost 1–5. Swedens next match was the match against Brazil. In that game the Swedes lost 2–4, and ended in fourth place for the first, in the first round, Sweden played against Austria. The Italian national football team represents Italy in association football and is controlled by the Italian Football Federation, the governing body for football in Italy. Italy is one of the most successful teams in the history of the World Cup, having won four titles. 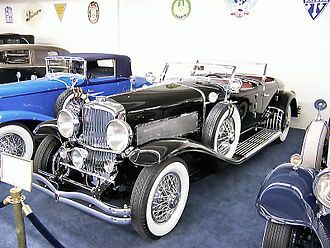 In 1938, they became the first team to defend their previous World Cup tournament victory and they have won a European Championship, as well as appearing in two other finals, one Olympic football tournament and two Central European International Cups. Italys highest finish at the FIFA Confederations Cup was in 2013, the national football team is known as Gli Azzurri from the traditional colour of Italian national teams and athletes representing Italy. The primary training ground is at the FIGC headquarters in Coverciano, the teams first match was held in Milan on 15 May 1910. Italy defeated France by a score of 6–2, with Italys first goal scored by Pietro Lana, some turmoil kept the players of Pro Vercelli, who were the best team in the league, out of the game. At the end of the match, the players received some cigarette packets thrown by the 4,000 spectators as a prize. The Italian team played with a system and consisted of, De Simoni, Calì, Trerè, Capello, Rizzi, Cevenini I, first captain of the team was Francesco Calì. The first success in a tournament came with the bronze medal in 1928 Summer Olympics. After losing the semi-final against Uruguay, an 11–3 victory against Egypt secured third place in the competition. In the 1927–30 and 1933–35 Central European International Cup, Italy achieved the first place out of five Central European teams, other stars of that era included Luis Monti, Giovanni Ferrari, Giuseppe Ruffino and Virginio Rosetta. The hosts, defeated Czechoslovakia 2–1 in extra time in Rome, with goals by Raimundo Orsi and they achieved their second title in a 4–2 defeat of Hungary, with two goals by Gino Colaussi and two goals by Silvio Piola in the World Cup that followed. In 1949,10 of the 11 players in the teams initial line-up were killed in the Superga air disaster that affected Torino, Italy did not advance further than the first round of the 1950 World Cup, as they were weakened severely due to the air disaster. The Olympiastadion München is a stadium located in Munich, Germany. Situated at the heart of the Olympiapark München in northern Munich, with an original capacity of 80,000, the stadium hosted many major football matches including the 1974 World Cup Final and the Euro 88 Final. 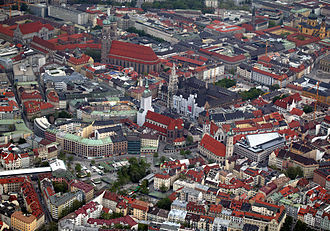 It hosted the European Cup Finals of 1979,1993 and 1997, until the construction of the Allianz Arena for the 2006 World Cup, the stadium was home to Bayern Munich and TSV1860 Munich. This included large sweeping canopies of acrylic glass stabilized by steel cables that were used for the first time on a large scale, the idea was to imitate the Alps and to set a counterpart to the 1936 Summer Olympics in Berlin, held during the Nazi regime. The sweeping and transparent canopy was to symbolize the new and optimistic Germany and this is reflected in the official motto, The cheerful Games. The stadium was built by Bilfinger Berger between 1968 and 1972 in a pit made by bombings Munich suffered during World War II, following the Olympics, the stadium became the home of FC Bayern Munich. In 1979 the ground played host to the 1979 European Cup Final in which Nottingham Forest won the first of their consecutive European Cups under Brian Clough, in the 1990s Bayern Munichs rivals TSV1860 Munich moved into the stadium. The two teams coexisted in the Olympiastadion until 2005, when both moved to the purpose built Allianz Arena. Borussia Dortmund won the 1997 UEFA Champions League Final at the Olympiastadion, since 2005, it is the host of the yearly air and style snowboard event. On 31 December 2006, the stadium made history as being the first venue to host the Tour de Ski cross-country skiing competition, the individual sprint events, held at 1100 m, were won by Norways Marit Bjørgen and Switzerlands Christoph Eigenmann. The snow was made in the stadium by combining the hot air with the cold refrigerated water that causes the snow to act like the icy type you would see in the Alps. 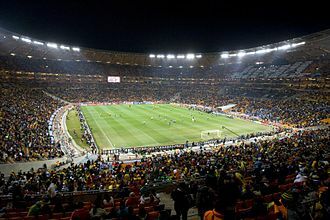 It went unused in the 2006 FIFA World Cup due to the Allianz Arena being the host stadium in Munich, on 23 to 24 June 2007, the stadium played host to the Spar European Cup 2007, a yearly athletics event featuring the top 8 countries from around Europe. Le Nouvelliste (a Haitian newspaper) of 25 March 1925 describing the encounter between Haiti and Jamaica, who played their first official match on 22 March 1925 against their Caribbean neighbors in Haiti. Haiti was defeated 1–2 to the Jamaicans, as the first goal in Haiti's history was scored by Painson in the 86th minute. Following the affiliation of the Haitian Football Federation with FIFA in 1933, Haiti was able to register for the qualifiers for the 1934 World Cup in Italy. Haiti and their captain Wilner Nazaire against the Italy at the 1974 World Cup.